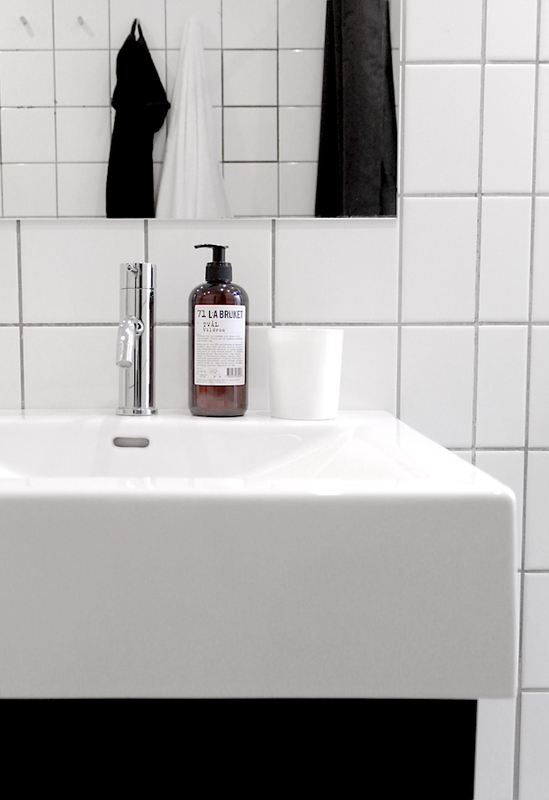 My bathroom has grown up – or at least it's on it's way to get a more mature look! 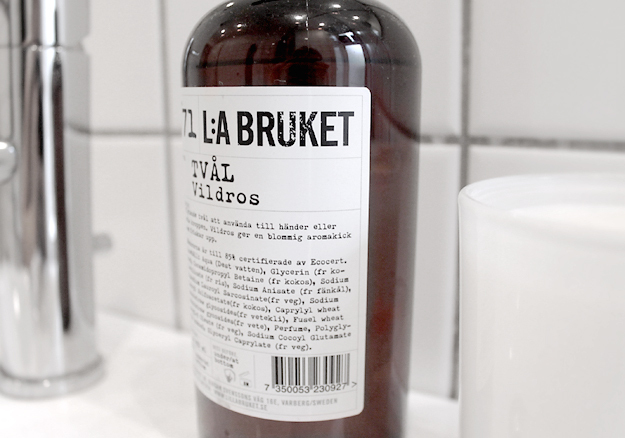 Yesterday I bought this lovely handsoap from the swedish brand L:A Bruket who make handmade and ecological soap and spa products in the loveliest packaging. 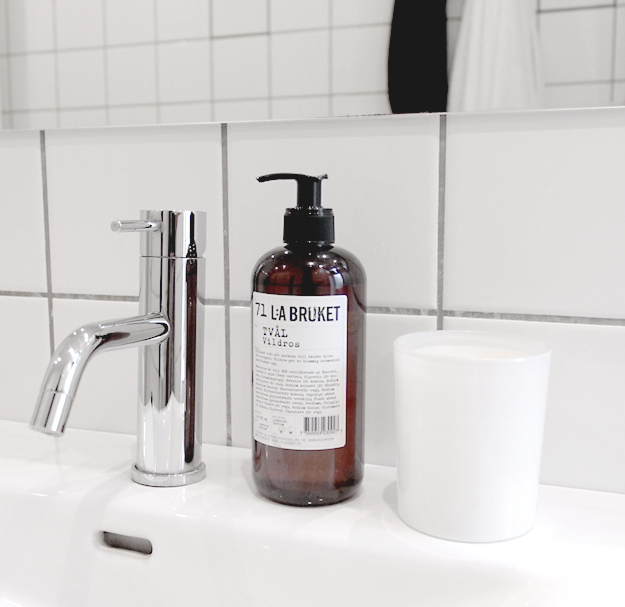 I like the very natural/rustic look of their products, and since I've only used black and white materials/colors in my bathroom, this single product gives my bathroom a totally different look. In Denmark you can buy their products in &otherstories or else go visit their website HERE. 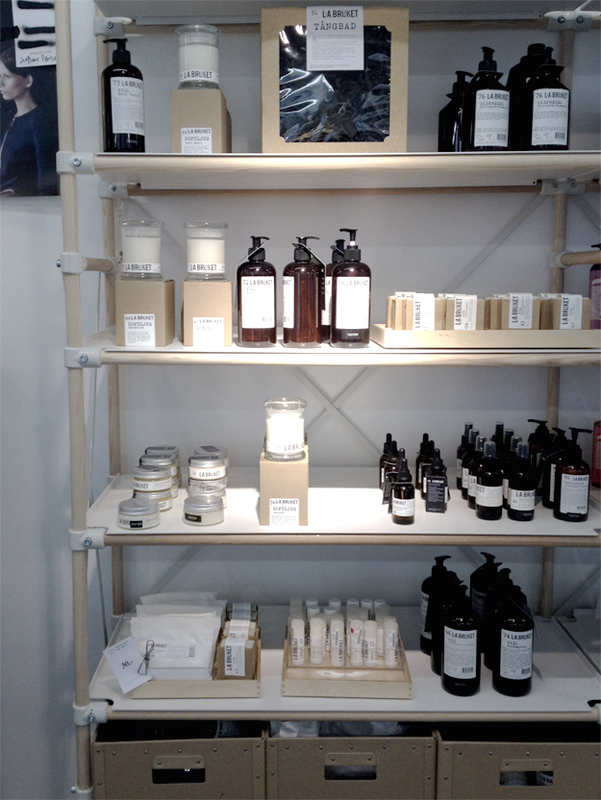 The last picture I took (iPhone) is from their stand in &otherstories copenhagen with a range of their products. Lovely!